The bodies of two missing pilots have been found following a cargo plane crash north of Vancouver earlier this week. Cpl. Richard De Jong of North Vancouver RCMP told reporters Tuesday afternoon that the two male pilots, aged 33 and 35, were both from the Vancouver. De Jong said their families had been notified of the deaths and their names will not be released publicly. Carson Air Flight 66 left Vancouver International Airport early Monday morning bound for Prince George, B.C. It lost contact approximately 15 minutes into the flight. The Joint Rescue Coordination Centre launched a search effort for the missing plane, sending aircraft to follow its intended route. 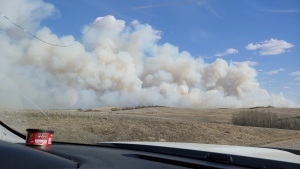 Two Cormorant helicopters along with C-130 and Aurora aircrafts helped search-and-rescue ground teams look for the Sweringen SA 226 aircraft and any possible survivors. On Monday evening, debris believed to be from the plane was found by ground teams about five kilometres northeast of Mt. Seymour, not far from Vancouver. On Tuesday morning, bodies of both pilots were found along with the fuselage, Yearwood said. Yearwood said there were no distress calls made from the plane after takeoff. The coroner’s office and RCMP have investigated and handed over the site to the Transportation Safety Board, which had three investigators on the ground Tuesday. There were no cockpit voice recorders or flight data recorders onboard the aircraft, because regulations do not require them for aircraft of that size, according to Yearwood. Nonetheless, Yearwood said he expects investigators will have no trouble finding the cause of the crash. 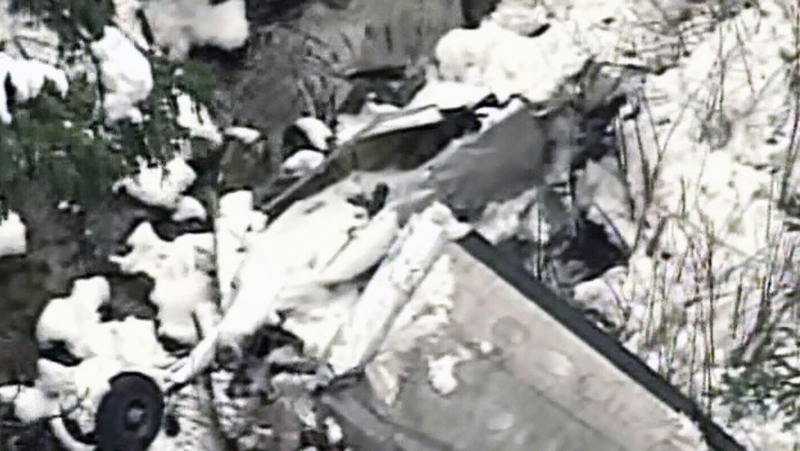 Wreckage of the crashed cargo plane as seen from Chopper 9. Tuesday, April 14, 2015. 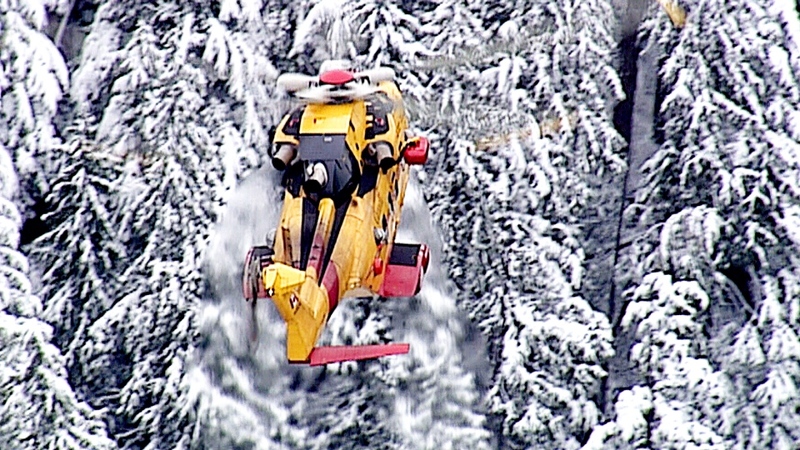 A Cormorant helicopter conducts a search for two pilots missing in a cargo plane crash north of Vancouver.